Feyenoord had to do with a point at FC Twente on Sunday after conceding an equaliser in the fifth minute of added time. 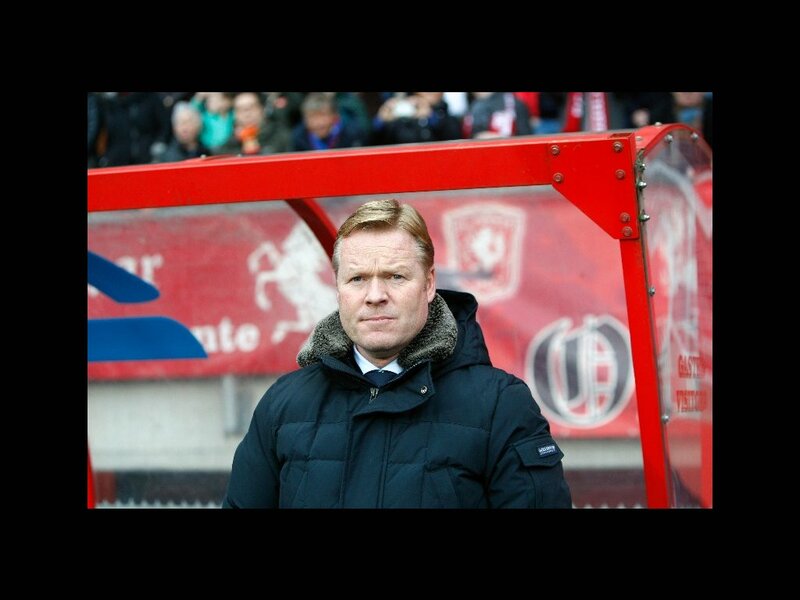 The visitors led 2-0 after 55 minutes through strikes by Graziano Pellè and Jean-Paul Boëtius. But a Luc Castaignos goal midway through the second half set up a nervous last quarter. 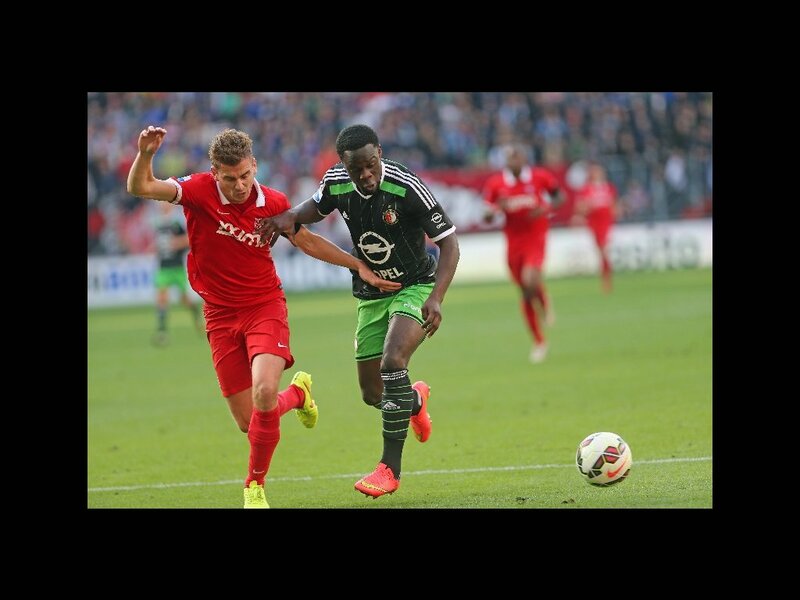 Feyenoord ultimately succumbed deep into injury time when Cuco Martina levelled. The draw leaves Feyenoord three points behind FC Twente in the Eredivisie. Feyenoord needed a win to draw level on points with their hosts and keep the gap to leaders Ajax to a manageable seven ahead of next week’s meeting with the champions, and the visitors showed their intent from the first whistle at the Grolsche Veste stadium in Enschede. The breakthrough came on 13 minutes, when top scorer Graziano Pellè added to his tally for the season with a sweet strike. Jean-Paul Boëtius showed a perfect sense of timing, playing the ball into the Italian in the box, who beat keeper Nick Marsman with a hard shot on the turn. The lead was well deserved after a strong opening from the visitors, whose tight organisation gave them a clear edge over their high-flying hosts. FC Twente found themselves under sustained pressure early on. The best chance came when Lex Immers tenaciously hounded Marsman, who was in danger of losing possession. The home keeper responded by pulling Immers to the ground, but referee Serdar Gözübüyük waved play on, ignoring Feyenoord’s pleas for a penalty and a red card for the Marsman. After the goal Feyenoord were content to protect their lead and exploit the space left as the hosts tried to apply pressure up field. The visitors were dangerous on the counter attack, but strong in defence, and FC Twente failed to pose much in the way of problems themselves. The best home chance had come and gone as early as the second minute, when Quincy Promes should have netted from a few yards out after good work from Luc Castaignos on the left. One up at the break, Feyenoord continued to look to attack when they had the ball in the early stage of the second half. Ronald Koeman’s side also looked fairly comfortable without the ball, denying the hosts the opportunity to get their creative players into the game. Feyenoord’s hard work was rewarded ten minutes into the second half when Boëtius doubled their lead. Daryl Janmaat played the ball over the deck across the edge of the box to Immers, who poked on to Boëtius. The winger steered his shot out of Marsman’s reach but inside the near post. It left Feyenoord in the driving seat, but the hosts made things a little less comfortable when they got a goal back on 68 minutes. Castaignos held off Joris Mathijsen to pounce on a through-ball and beat Erwin Mulder at the near post. It set up a thrilling twenty minutes in Enschede, as the hosts went all out for an equaliser. The visitors were pushed further back towards their own goal, but save a couple of awkward moments Feyenoord appeared to have things in control. But the visitors were ultimately pegged back in the last minute of five added on to the regulation 90. 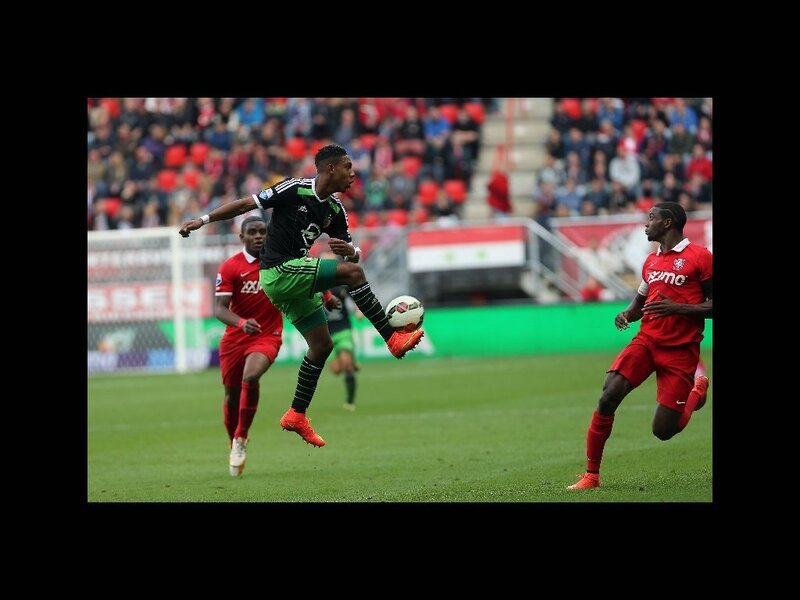 Substitute Cuco Martina picked up the second ball from a corner and rattled in a shot. Luc Castaignos was clearly in an offside position half a meter to the side of keeper Mulder and even had to react fast to avoid getting hit by the ball. But the referee felt he was not interfering to play, letting the goal stand. It was a cruel end to the game for Feyenoord, who surely deserved all three points. Feyenoord: Mulder; Janmaat, De Vrij, Mathijsen, Kongolo; Clasie (90’ Goossens), Immers, Vilhena; Schaken (81’ Armenteros), Pellè, Boëtius (84’ Nelom).